The secrets of Sauvignon are hidden in our special terroir. Our 2017 Sauvignon blanc harvest has JUST started. 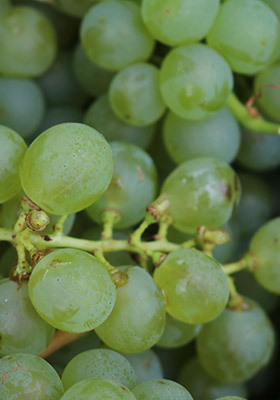 We’ll be harvesting 3 Sauvignon blancs, to make three different wines off our soil types. Founder and winemaker, Dirk Human, decides when to start the harvest based on the phenolic (or physiological) ripeness of the grapes. 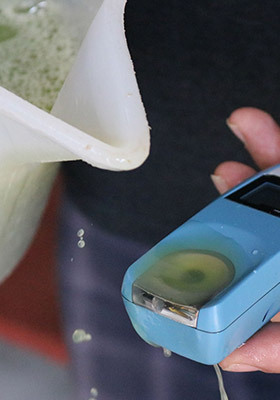 “We’re looking for nature’s sweet spot – when those specific flavours that make our wines unique have developed, and the sugar level and acidity are in perfect balance with each other,” says Dirk Human. And their readiness is determined by our unique terroir, usually a bit later than other wine-growing areas in South Africa due to our specific location. the coast). Dirk’s family have been here for 4 generations. and is believed to have originally been part of Antarctica. 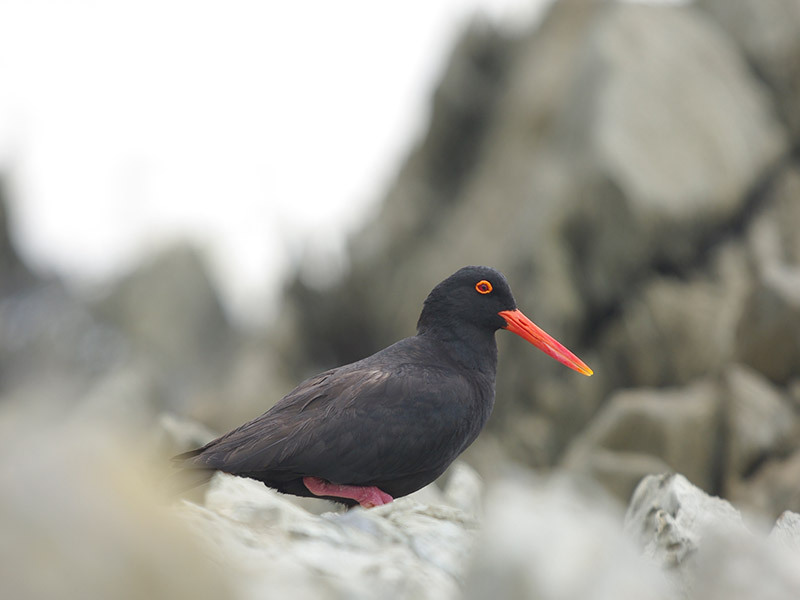 At the coast, you’ll find our namesake – the Black Oystercatcher birds. These birds are near threatened, with only some 6000 adults remaining. Years ago, people could drive along our coast – disturbing these birds, which pair for life. Now that’s banned (except with special permits). 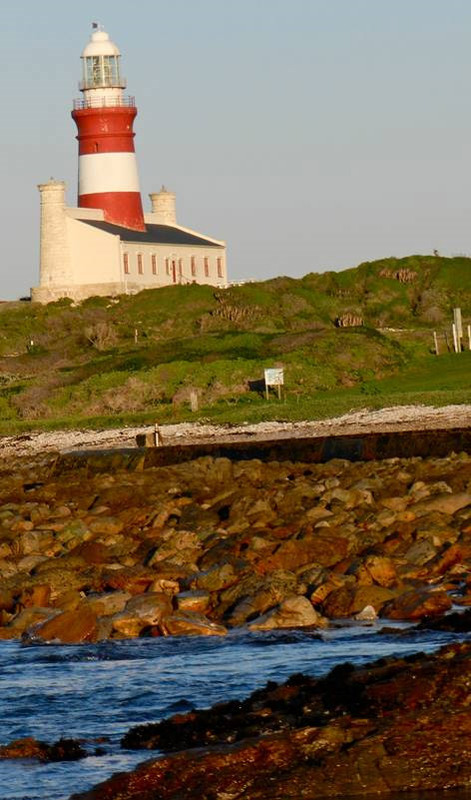 The Agulhas Lighthouse is 170 years old this year! And it’s still operating (the second-oldest in the country to still work). Our coast is extremely hazardous, and this beacon has saved many lives over the years. We’re not only a winemaking hub; we’re also a wonderful destination for visitors who love the sea and long, pristine beaches. 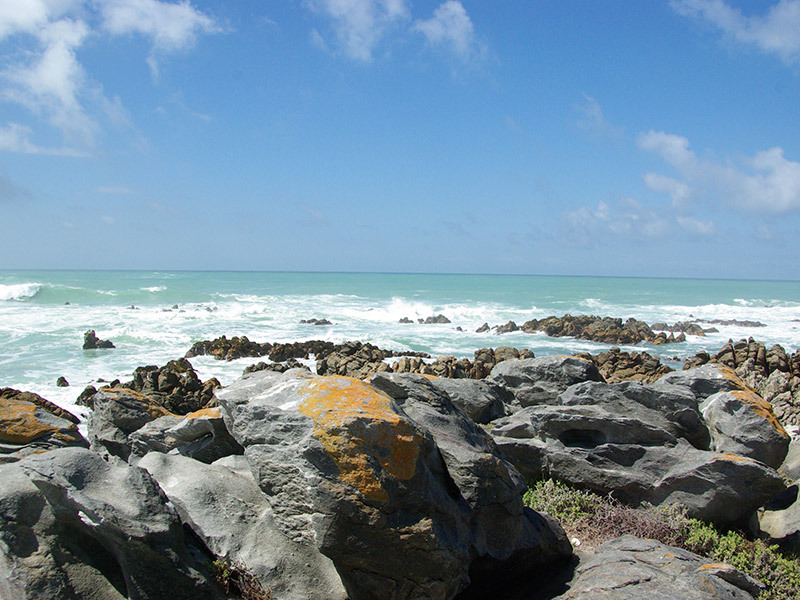 Dirk himself spent much of his youth at their lovely old family beach house – an old wooden house at the Agulhas Lagoon. Today the old structure has been replaced by the Agulhas Rest Camp – part of the Agulhas National Park. – both directly off the sea so they retain their chill. So even during the hot summers, these winds keep our vineyards pretty cool. Our mean temperature is only 22 degrees Celsius. This stops our berries from losing their intense flavours. 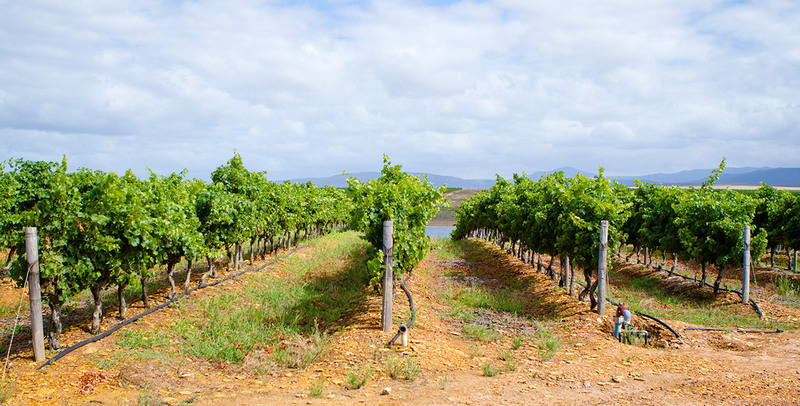 The Agulhas Plain is pretty flat – so the winds reach our vineyards with ease. The Plain is a mix of natural veld and agricultural land. Our marginal soils and unique geology therefore play a major role in crafting our small compact berries. So given that we’re so close to the ocean, we’re known as a cool-climate wine producing area. And you can taste the terroir in our Sauvignon blanc. You now know more about our area. But how’s your winemaking jargon? These are compounds you’ll find in the skins, seeds and stems of a grape. If you’re keen to sound smart using science, then just call them ‘polyphenols’. These compounds give wines the dry taste we’ve come to love. 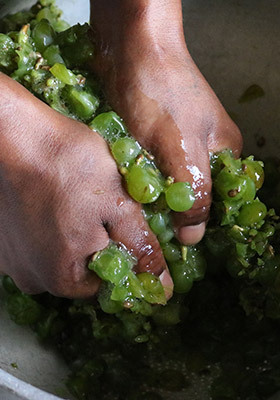 As a grape become ripe, its flavour and texture changes from bitter and quite hard, to soft and sweet. This means there’s a change in the tannins and other phenolic compounds that are found in the grape’s skin, seeds and stems – called ‘phenolic’ ripeness (also known as ‘physiological’ ripeness). This plays a part in determining the colour, aroma and flavour of the wine. Now it’s your turn: We want to reward you if you’ve ever checked in at the Black Oystercatcher. We’re giving away a ‘case’ of our Secrets of Sauvignon – a Sauvignon blanc from each of the soil types. Tell us when you visited us and your favourite part of the Overberg experience by commenting below. Hubby and I met the winemaker of one of our favourite Semillion/Sauvignon blends from the Struisbaai during a food and wine pairing in Joburg. We discussed with him various food pairing options for his delighful wine and decided it may work well paired with a good hot Durban curry. Then and there we three decided that somehow, somewhere we needed to make plans to experience this pairing together. A year later we drove down to the gorgeous Overberg, armed with spices and herbs and lots of chilli. We spend the day experiencing the region and its stunning colder climate wines, we visited various vineyards and stopped for a scrumptious lunch at BlackOystercatcher restaurant enjoying the company of the resident friendly doglet. That evening it was game on: We needed to discover the best wine pairing for curry between two of our favourite, finest semillion/sauvignon blends. One sacrificed farm rooster and a few hours of cooking later, we sat down with two of the finest winemakers in the country (obviously one of them from BlackOystercatcher wines!) and their delightful families for a feast of curry and the finest wine in the land. Obviously we needed to drink several glasses of all their stunning wines in order to decided which was best for the curry pairing. We sat eating, drinking and laughing with our new friends – the perfect evening! We have been fortunate to have traveled the world, far and wide to experience the delights of fine food and wine. This night was special. The warmth hospitality of our wonderful hosts, copious amounts of chilled BlackOystercatcher White Pearl and Strandveld Adamastor mingled with the fiery hot curry to create a night in the Struisbaai that will remain forever special in my heart. I’ve been to The Black Oystercatcher 4 times, the last time was last year with my mom, Gusta Smit and my friend, Katrina Dempsey. It’s impossible to name only one thing about the Overberg which is “the best”, so here goes: I love how the rolling hills as I drive from Somerset West to Struisbaai calm me down, especially when it’s all shades of green and golden Canola-yellow, dotted with fluffy white sheep. I love the way I can feel the temperature drop with about 10°C every time I get to the other side of Bredasdorp and the smell of fynbos, salty ocean water and all the friendly faces greeting me at Struisbaai harbour. Mostly, I love all the memories I made in the Overberg with my family and friends: walking on the boardwalk with my Mom and our dog, Eddie, swimming in Seekoeigat with my Dad and Eddie, climbing the mountain behind my Grandmother’s house in L’Agulhas and exploring the caves with my brothers and all those laughter-filled evenings at The Micheal Collins Irish Pub. My Dad, Rian Smit, instilled a love for Sauvignon Blanc in me and it will always remind me of him. I love the Overberg, because there are memories in every sip of Sauvignon Blanc and every wave that crashes. We had a mini girls weekend getaway in Struisbaai and heard all about BOC, we’re wine regulars from Somerset West so it was a great experience of wine tasting and your delicious cheese board as well as a bottle for later! We plan on coming again soon when we come back that side for another mini getaway! We even had the little dog we were fostering at the time and everyone was super accommodating:) beautiful area and calm and collected atmosphere! We had lunch with you guys almost a year ago when we took my sister and her hubby on an Overberg road trip.. they never realised how many interesting spots were to be seen within an hour’s drive from Hermanus. Needless to say, we – and they, were enchanted. BTW – loved the herb garden. We love Oyster Catcher and will bring our overseas family for lunch and winetasting. Black Oystercatcher is much loved by our whole family, but most particularly my son. Practically every single Sunday he asks if we can eat there! We have a sea house at Struisbaai. This is the most amazing lunch venue in a stunning location with amazing people. If reflects a real picture of the region. We visit whenever we are home, which sadly isn’t often. Johan van Dyk – ek ry nooit hier verby sonder om vir jul te kom kuier nie! – die laaste keer was tydens die heerlike SOS Fees in Januarie. Die Plaat by De Kelders bly een van ons gunsteling Overberg kuierplekke. I visited the BOC on Monday 20 February. My favourite part of the Overberg is the fynbos – love it. And of course the sea. Your prize will be sent to you once the 3 Sauvignon blancs have been bottled and labelled – likely at the end of the year. Competition closes on Tuesday 28 February at 5pm. The winner will be announced on 1 March 2017. The prize is three bottles of Sauvignon blanc – made from the three unique soil types in the Black Oystercatcher vineyards, as part of the Secrets of Sauvignon campaign. Prizes will be disbursed once the wine is bottled and labelled – likely in December 2017. Children under 18 cannot enter the competition. The winner will be randomly selected from email entries on the Secrets of Sauvignon web page. The Black Oystercatcher’s decision in respect of all matters with regards to the competition will be final and no correspondence will be entered into. We reserve the right to cancel or amend the competition and these terms and conditions. The Black Oystercatcher will not distribute the emails collected to any third parties. The email addresses will only be used by the Black Oystercatcher to inform and update entrants of news and events taking place at the Black Oystercatcher. Entrants can unsubscribe from these updates at any time. We reserve the right to not publish any inappropriate comments on the Secrets of Sauvignon web page and other related Black Oystercatcher pages. Prize cannot be exchanged for money. The winner will receive a message via email – and the winner’s name will appear on the Black Oystercatcher social media platforms. Prize delivery will be arranged by the Black Oystercatcher administration team. Harvest will be well underway. And we’ll be on our way to start harvesting the first of our three distinctive Sauvignon blancs off our three soil types – all to uncover the Secrets of Sauvignon.